Recently in my Human Neuroscience Laboratory I tested a ten-year-old, a sweet boy who spoke politely and did what was asked of him, but who had trouble sitting still for very long and found it difficult to describe the contents of a simple paragraph. When I met with his mother several days later to show her what my tests revealed-- how patterns in his brain predicted his problems in school and staying still-- I showed her the technical data in the form of numbers and graphs. She seemed satisfied, but I could tell she was more than a little mystified. I’m sure my assessment would have meant much more if I could have handed her this book. Over the years I’ve talked with many parents about their kids, as well as with adults who were tested. For everyone who has patiently wrestled with my graphs and listened to my explanations, this book is for you. Lynette, this is for you, Tom and Toni, this is for you. To all the moms, dads, teachers, and clinicians I haven’t yet met, but who want badly to understand what’s happening with their kids, their clients, and themselves, this is for you. 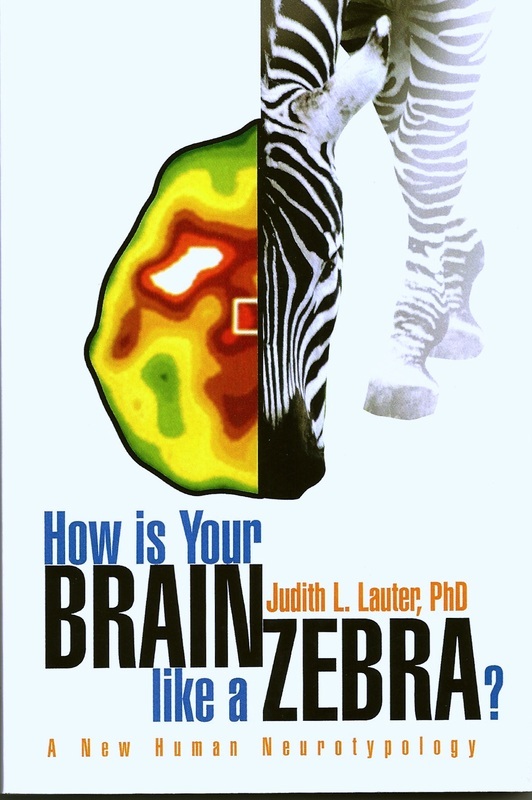 The main message I hope you will take away is that brain patterns are firmly based in biology. It’s not “all in your mind” -- it’s in your brain. These patterns are readily comprehensible-- and can provide practical guidelines for improving your quality of life. Moreover, these patterns, which I call “brain types,” are all about the individual, and in many ways resemble the patterns of color in an animal’s coat-- rings on a cat’s tail, dapples on a horse’s coat, stripes on a zebra. Surprisingly, you don’t need expensive testing to unlock the secrets of brain types. They can be recognized in numerous ways, including direct observation of personality, skills, and even height and coloration. Sometimes easy to see, sometimes harder, they are always there, waiting to be discovered with a little detective work. In that sense, this book is a kind of training manual to turn you into a “brain detective.” My aim is to give you enough basic information that you can figure out the brain type of nearly anyone you know -- and what that might mean, both for them and for you. I would also like to express my gratitude to members of the Sociology Reading Group at Stephen F. Austin State University, along with graduate students from the Educational Psychology program, for reading and commenting on earlier drafts of this book, and to Dr. Michael McKaig, not only for reading the manuscript but also engaging in frequent discussions about many of these issues. My deepest thanks go to my husband Ken, for his consistent open-mindedness and intellectual vigor, his unflagging patience and enthusiasm, and for the many hours he has contributed to reading and editing drafts of this book. Ken is definitely my principal “zebra wrangler,” and his generosity in sharing his own experiences of human diversity has helped shape my views on the many ways of being human.